Business communication has changed a great deal in the last 20 years. Face to face meetings were once the standard context for any negotiation, and this resulted in the extensive, and expensive, use of business travel. These days, we travel much less on business, partly as a result of the emergence of digital communications like email, and the opportunity to visit an overseas client is less likely to crop up. But email is no way to conduct a delicate negotiation or close a significant deal. In such situations, human interaction needs to take place at some level, and the most cost effective way of achieving this is to use the phone. 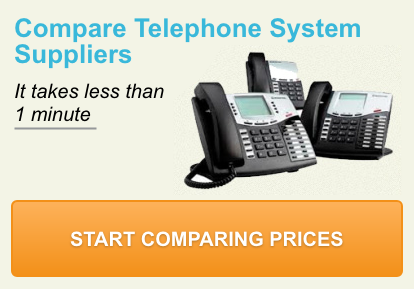 Equally a poor phone system can hurt delicate negotiations, does your business have poor conference room phone systems? Conference calls can be great way of holding a meeting without having to go the expense and effort of travel, but they are not always ideal. Problems with patching individual participants in to the conversation, and confusion when two or more people wish to speak at the same time, can make conference calls tiring and stressful, inhibiting the chances of a successful outcome being reached. They are also inconvenient if more than one person from a single location wishes to join the discussion. For a high level meeting between two or more groups, a standard conference call is not sufficient. What is needed in this context is a conference room phone system. What are conference room phone systems? Essentially, these systems allow for two or more groups of people to conduct a meeting over the telephone. Far more advanced than standard telephones, conference room phone systems offer clarity of sound, ease of use and a range of special features – all of which can make a significant contribution to the success of a meeting, whether it is between a client and an agency with a few people on each side taking part, or a high level negotiation between two boardrooms with a large number of participants. In either situation, it is essential that the context of the meeting (i.e. that is being conducted over a telephone line) does not impede the ease with which active members can communicate with one another. Bandwidth: Conference room phone systems boast much broader bandwidth, with a higher range of frequencies than a standard telephone. Reverberation: A good conference room phone system will be able to minimise the reverberation, i.e. the level echo in the room. Amplitude: This relates to volume. With a conference room phone system, it is possible to set individual speaker’s volume levels, allowing for a consistent level of sound. Interactivity: Conference room phone systems are designed to allow for two more people to speak or listen at once, eliminating some of the awkwardness commonly associated with conference calls. Noise: Cutting out the background noise and interference is a key element of conference room phone systems’ ability to deliver a clear and high quality level of sound. Room: The size of the meeting room has a big impact on the type of conference room phone system you will need. Many systems are designed for small meeting rooms, while others specialise in larger spaces and come with additional microphones. Participants: This relates not just to how many people take part, but also their relative statuses. For example, some systems come with lapel mics, which may suit the needs of a CEO who needs to make sure that his/her voice is heard the loudest when it comes to the crunch. Phone line: It is possible to get a conference room phone system for both standard analogue phone lines (sometimes known as PBX) and VoIP (Voice-over Internet Protocol). Bluetooth-enabled audio systems are also available. Due to the fact that there are various criteria to consider, as well as there being a large number of different systems available, the best way to get the right package for your business is to get multiple quotes on conference room phone systems from reputable suppliers. By shopping around, and finding out exactly what is on offer in your price range and matches your business’ level of requirements, you will give your company the best possible chance of getting the right deal.